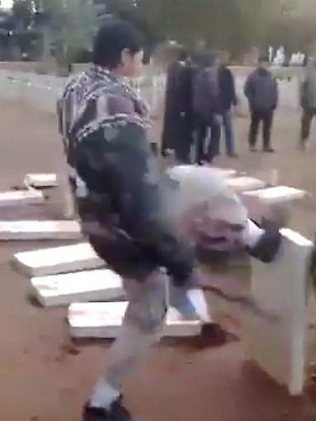 The Islamic militia men shot of a video of the heartless vandalism that shows them desecrating tomb stones and using a sledge hammer to smash the Cross of Remembrance, the Herald Sun reported. More than 1000 soldiers and airmen who lost their lives in the Western Desert wars between 1942 to 1943, are buried at the site in Eastern Libya. It is believed Australians are buried in the military cemetery.